How are ISE principles used to improve healthcare? hospitals, physicians – it feels like the patient can sometimes get lost in the shufﬂe. able to “ﬁx” the healthcare delivery system. How are data systems crucial to the patient experience? existing condition, how do I know where is most appropriate to go for my care? do we know if patients are following through on the outlined strategies? among like-sized hospitals to understand how we can learn from each other. What’s next on the horizon in health systems technology? 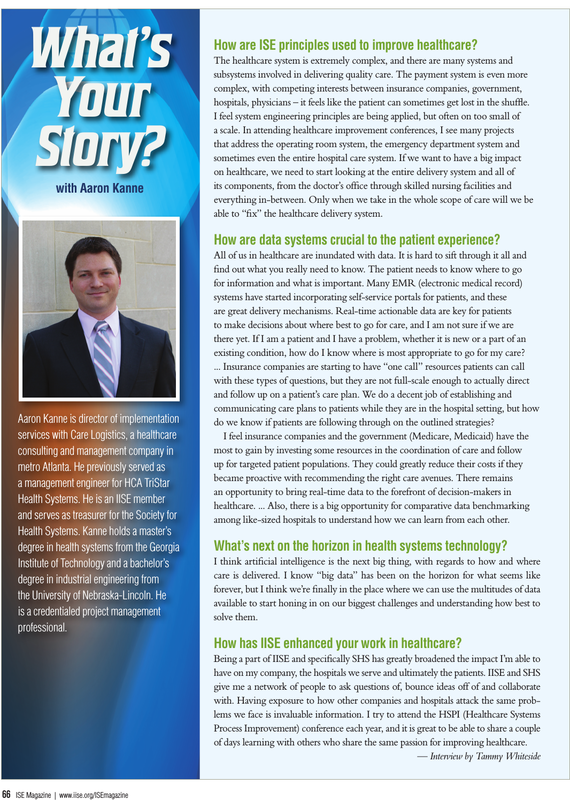 How has IISE enhanced your work in healthcare? of days learning with others who share the same passion for improving healthcare.